Posted on February 10, 2013 by Misty P.
This is a gift I made for my brother-in-law’s birthday. 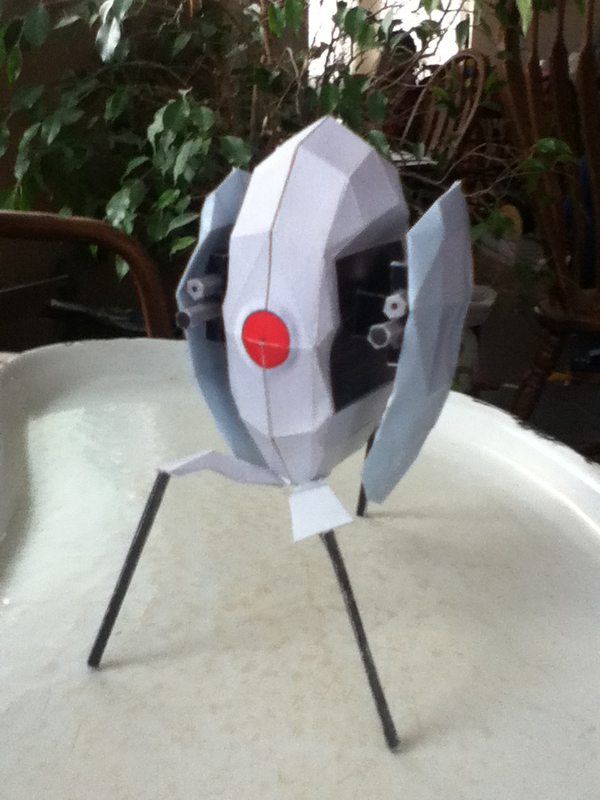 I didn’t design the original, just followed instructions on this (instructions can be found here), since this was my first foray into papercraft. This really ended up being a labor of love, since it took much longer than I anticipated! This is based on the popular video game, Portal.